I'm working with a 427 SO with an expansion tank that has the 3/8" aluminum spacer. 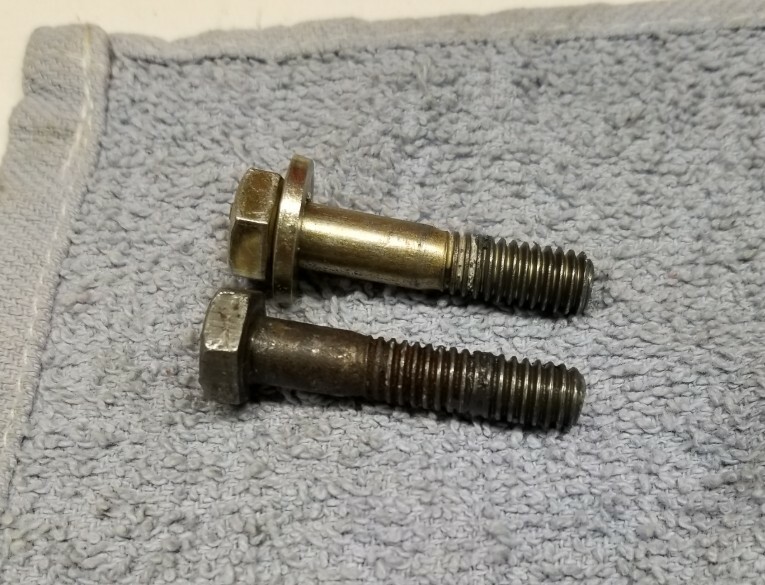 The existing bolts are rusty and the threads are damaged in a few places, so I was looking to replace them. The old ones are 1.5" which actually appears to be 3/8" short -- the threaded part is 1" which matches my measurement of the holes in the intake, and without the spacer the unthreaded part lines up nicely. They were also installed without washers fwiw (presumably to compensate thread engagement). The new ones are 2.25" -- the threaded part is still 1", but that leaves the unthreaded part an extra 3/8" too long. Should I be looking for 1-7/8" bolts? I haven't been able to find anything other than the 2.25" ARPs online. Or is some other part of my geometry off? You will want to maintain the full thread especially if they are threaded into aluminum.... if not the threads will pull out when you try to torque them down. I suspect that damage has already been done, as I was unable to fully thread in the new bolts when test fitting. 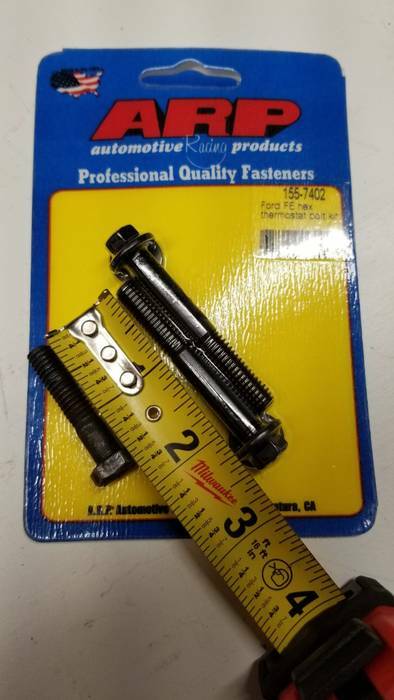 How are you measuring the bolt length? Good to see we are on the same page. Thanks. I ended up just grabbing a pair of 1.75" grade 8 bolts at the local hardware store. After chasing the bolt hole threads with a tap and refitting everything, I wound up taking a bit off the bolts and ended up basically where I started, just more shank and less thread. My preference is to use studs (Loctited) into aluminum with nuts on the outside. You really don't need anything more than Grade 5. Morris and Gaz64 like this. Yes, less likely to pull threads, makes assembly easier.